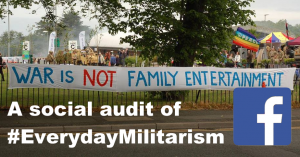 Welcome to Take Action on Militarism.  This is a joint project of Quaker Peace & Social Witness and ForcesWatch. 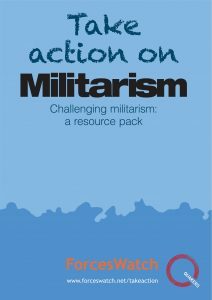 Information about different areas in which everyday militarism has increased in recent years is accompanied by case studies of challenges that individuals and groups have made to this. All the information is downloadable and the whole pack can be ordered by post. 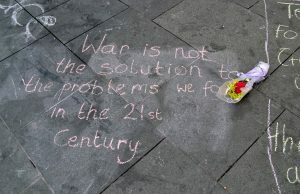 We will add new material to this site over time including useful resources and images and materials to develop skills and strategy.